Palestinians know that if Cairo sneezes then Palestine, especially Gaza, is first to get the flu. Indeed, Gaza often serves as a tool of regime policy, as was the case during the Mubarak years and during the short-lived government led by the Muslim Brotherhood’s Freedom and Justice Party, and is still the case with the current regime since July 2013. 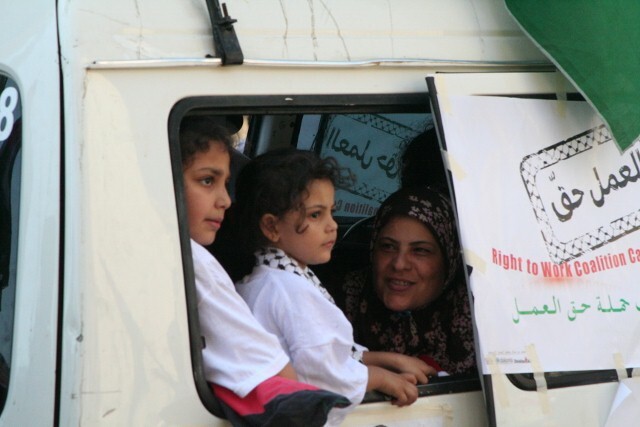 The Mubarak regime’s policy towards Gaza was generally repressive. It participated in Israel’s draconian siege of the enclave, underway since 2006, and was fully complicit in Israel’s brutal offensive against Gaza in 2008-9. Former Egyptian foreign minister Ahmed Aboul Gheit was standing next to his Israeli counterpart Tzipi Livni when she declared war on Gaza during her visit to Cairo in 2008. Aboul Gheit went so far as to threaten to break the legs of the Palestinians of Gaza if they “encroached on Egypt’s national security” after they breached the border wall with Egypt, seeking to buy medicines and other necessary supplies in Al-Arish City. Naturally, such a repressive policy had to involve demonization of the Gaza Palestinians, painting them all as members of Hamas. Hamas had great expectations of change after the downfall of the Mubarak regime, including the permanent opening of the Rafah Crossing and the free passage of people and goods, thus eliminating the need for the tunnels connecting Gaza to Egypt. Some optimists further hoped that the efforts for reconciliation between Hamas and Fatah would finally bear fruit, given that the Mubarak regime had been biased towards Fatah. However, the transitional rule by the Supreme Council of the Armed Forces (SCAF) that took power after Mubarak’s downfall did not lift the siege on Gaza or change the Egyptian political approach to Palestine. The tunnels continued to ply their trade to compensate for the massive shortage of supplies blocked by Israel. The Rafah Crossing was partially opened for very limited periods of time, depriving 1.7 million Palestinians of the basic right of freedom of movement. The high hopes were therefore deferred until the Egyptian presidential elections. Palestinians believed that a democratically elected president would have the power to take sovereign decisions and implement the nationalist and Islamist position of ending the blockade on the Gaza Strip, revisiting the Camp David Accords, and responding to the Palestinian Call For Boycott, Divestment and Sanctions until Israel abided by international law. Some even believed that the newly elected president’s first trip abroad would be to Gaza. Ironically, the first visit Mohamed Morsi made after his election was to Saudi Arabia, which had been hostile to the Egyptian revolution; a visit to Gaza was never in the cards. In fact, the Muslim Brotherhood was unable to rise to the challenge of government. They came late to the January 25 revolution, seeking first to appease the Mubarak regime. They then forged a temporary alliance with the SCAF and endorsed some of its most violent actions, including the October 2011 assault on peaceful demonstrators, many of them Egyptian Copts, protesting the demolition of a church in Upper Egypt. Once in government, they lacked a clear political vision; one could have easily mistaken the president’s speeches for a Friday sermon or an address by a tribal leader. On the home front, the Brotherhood failed to make even limited progress in realizing the demands of the January 25 revolution for bread, freedom, social justice, and human dignity. The economy nearly collapsed and security worsened. Radical Islamist Takfiri groups increased their hold in the Sinai and Israel appears to freely wander through the area, to the extent of reportedly abducting a Palestinian there this June. Despite this reality, the Gaza Palestinians are forced to pay the price of any criminal act that takes place in Sinai. The Brotherhood’s slogans against Israel – such as “we shall march to Jerusalem in our millions” – and the United States disappeared after they came to power. Instead, it adopted a pragmatic position well to the right of the political spectrum. Pragmatism meant a commitment to international agreements, a special relationship with the U.S., loans from the International Monetary Fund, and diplomatic ties with Israel. There was no attempt to abrogate the 1979 peace treaty nor even to put it to a popular referendum. On the contrary, a few months into his term, Morsi sent a very friendly letter to Israeli President Shimon Peres regarding the appointment of the new Egyptian ambassador to Tel Aviv. He described Peres as his “great and good friend” and expressed his “strong desire to develop the cordial ties” between the two countries. Meanwhile, the blockade against Gaza was tightened: Almost all the tunnels were shut down and the Rafah Crossing functioned at a snail’s pace. The Morsi presidency took credit for brokering a ceasefire agreement between Palestinian factions and Israel in November 2012 but failed to intervene to hold Israel to its commitments, including lifting the blockade against Gaza. The fact that Morsi’s Egypt did not stand by Gaza during that short but ruthless war that killed more than 200 Palestinians, mostly civilians, was a bitter disappointment to the Palestinian leadership in Gaza, especially as Palestinian fighters had successfully stood their ground against the Israeli onslaught and had expected political gains as a result. Instead, Morsi capitalized on his “victorious” mediator role to achieve his aims at home. Just three days after the war on Gaza ended he issued his notorious Constitutional Declaration giving himself powers unprecedented in Egypt’s modern history. In short, Mubarak’s policy toward the Palestinian cause and especially toward Gaza was passed on to the Brotherhood, which did not dare challenge the crime against humanity taking place on Egypt’s border – a crime that human rights organizations and the United Nations have condemned as collective punishment with some saying it amounted to slow genocide. The victimized Palestinians were asked to be “understanding” of the transitional period that the Brotherhood needed and not to demand the impossible, as if opening the Rafah Crossing for the passage of people and goods was an impossibly heroic act. The Egyptian military regime in power since July 3, 2013 is now demonizing everything Palestinian. The Gaza Strip is facing a far harsher blockade affecting all the crossings, including an almost complete closure of the Rafah Crossing and destruction of the tunnels. An unprecedented incitement campaign is underway in several Egyptian media outlets, especially those financed by businessmen affiliated to the Mubarak regime and some Gulf countries hostile to the January 25 revolution. Palestinians are regularly excoriated on Egyptian TV. Some commentators are gleeful over the fate awaiting Gaza’s Palestinians while others assert Hamas’s involvement in Egypt’s internal affairs and call on the Egyptian Army to launch a military attack against the Gaza Strip. Some even “accuse” Morsi of being of Palestinian origin. Once again, the Palestinians have become the target of the Egyptian authorities’ security complex: They are the weakest link in the Arab chain and have no strong government to represent them. They are regularly harassed at and deported from Egyptian airports and crossings, even if they are simply transiting to and from Gaza. The Palestine Liberation Organization (PLO) has issued no statement calling on the Egyptian government to alleviate the stifling blockade or ensure decent treatment of Palestinian passengers. On the contrary, the PLO and particularly Fatah are rejoicing over the Brotherhood’s downfall and the difficulties this will pose for Hamas. Meanwhile, the Gaza government now faces an impasse and has no idea how to respond. There is no doubt that this chauvinistic campaign to hold Gaza responsible for all of Egypt’s ills – from the fuel shortages to terrorism in Sinai – serves the feloul (remnants) of Mubarak’s regime, who are now in full resurgence. 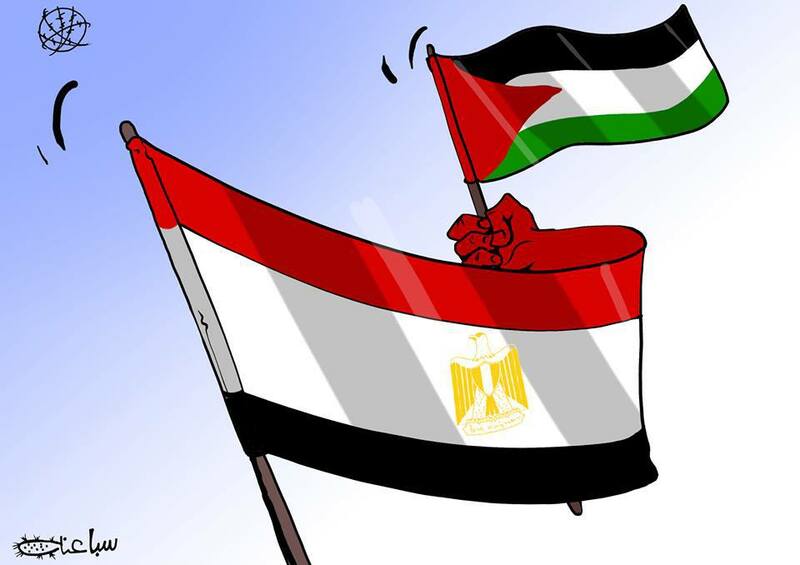 It is very disturbing that Egypt’s progressive voices have been silent in this regard, with some notable exceptions, even though all Palestinians, at both the official and popular levels, have condemned the terrorist acts in Sinai. Moreover, no evidence has been found of Palestinian involvement in Egypt, including Sinai. Even if there had been, the collective punishment the Egyptian authorities are applying against the Palestinians of Gaza violates international law. By contrast, Egypt did not cut diplomatic ties with Israel, threaten military intervention, nor impose any restraints on Israelis visiting Egypt despite the many Israeli crimes against Egypt since the Camp David Accords, including the killing of five Egyptian soldiers in an Israeli airstrike in 2011. Besides, isn’t Sinai a problem of Egypt’s making? Everyone knows that Mubarak’s regime neglected the Sinai, treating its population as second-class citizens and denying them essential services even though they are Egypt’s first line of defense. Gaza is a natural extension of the Sinai Peninsula and is therefore also part of Egypt’s national security. It is vital that the valiant Egyptian revolutionaries that brought down the Mubarak regime stand up to that regime’s feloul and their counter-revolution, which is using Palestine as a scapegoat. The Egypt we want and the Egypt we need is a pluralistic, democratic and free Egypt with full sovereignty over its territory from its western border with Libya to its eastern border with Palestine, an Egypt that honors the principles for which so many laid down their lives in the January 25 revolution. Al-Shabaka Policy Advisor Haidar Eid is Associate Professor of Postcolonial and Postmodern Literature at Gaza's al-Aqsa University. He has written widely on the Arab-Israeli conflict, including articles published at Znet, Electronic Intifada, Palestine Chronicle, and Open Democracy. He has published papers on cultural Studies and literature in a number of journals, including Nebula, Journal of American Studies in Turkey, Cultural Logic, and the Journal of Comparative Literature. Haidar is the author of Worlding Postmodernism: Interpretive Possibilities of Critical Theory and Countering The Palestinian Nakba: One State For All.